Defence minister Adolf Mwesige promisedpro-age limit bill MPs Cabinet support. Courtesy photo. KAMPALA–Cabinet sitting in Entebbe yesterday approved Tuesday’s resolution by NRM MPs to table a motion in Parliament to amend the 1995 Constitution and remove the presidential age limit. The Cabinet, according to a press release seen by PML Daily and signed by Information minister Frank Tumwebaze, was addressed by Government Chief Whip Hon Ruth Nankabirwa about the proposal and that the ministers advised the NRM MPs to carry on with it. The Motion to amend Article 102 (b) of the Constitution that puts an age limit on persons seeking to stand for the highest office in the land is being prepared by Hon Raphael Magezi and is expected to be tabled on the floor before the close of next week. “Cabinet noted the information by the Government Chief Whip regarding the proposal of a Member of Parliament Hon Raphael Magezi to move a private members bill in respect of article 102(b) and other constitutional amendment,” the statement reads in part. 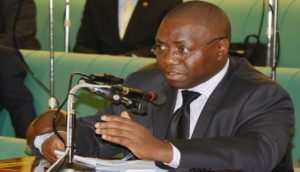 The Tuesday resolution which attracted a heated debate among MPs and other sections of society was attended by some members of Cabinet, including Defence minister Adolf Mwesige who promised the MPs that their proposal would be fully backed by Cabinet and supported legally by the Government Attorney General.